NEW YORK TIMES BESTSELLER • An inspiring standalone novel about the enduring bond between sisters, the power of forgiveness, and a second chance at love. Growing up, Cassie Carter and her sisters, Karen and Nichole, were incredibly close—until one fateful event drove them apart. After high school, Cassie ran away from home to marry the wrong man, throwing away a college scholarship and breaking her parents’ hearts. To make matters worse, Cassie had always been their father’s favorite—a sentiment that weighed heavily on her sisters and made Cassie’s actions even harder to bear. Now thirty-one, Cassie is back in Washington, living in Seattle with her daughter and hoping to leave her past behind. After ending a difficult marriage, Cassie is back on her own two feet, the pieces of her life slowly but surely coming together. Despite the strides Cassie’s made, she hasn’t been able to make peace with her sisters. Karen, the oldest, is a busy wife and mother, balancing her career with raising her two children. And Nichole, the youngest, is a stay-at-home mom whose husband indulges her every whim. Then one day, Cassie receives a letter from Karen, offering what Cassie thinks may be a chance to reconcile. And as Cassie opens herself up to new possibilities—making amends with her sisters, finding love once more—she realizes the power of compassion, and the promise of a fresh start. 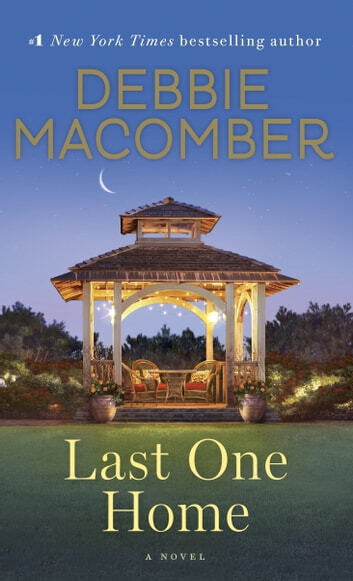 A wonderful novel of perseverance and trust, and an exciting journey through life’s challenges and joys, Last One Home is Debbie Macomber at the height of her talents. Last One Home was such a great read. Had to keep my Kobo charged up because I'd pick it up whenever I had a couple of minutes. I tried to savor every chapter but read fast anyway. Goes to show that family ties run deep. And, one never knows what goes on behind closed doors. I love all of Debbies' books, but this is one of the best. I think this may just be one of my favourites of Debbie Macomber's. There was some lightness and fluff but also a more serious tone to this one in regards to the domestic violence that Cassie endured. Now she has risen up out of the ashes and has put her life back together. She isn't rich by any means but she is also no longer abused, starving or homeless. But there is a large void in her life; when she ran away to marry what she thought was her prince, she cut off all ties to her family and has had almost no contact with them in the 13 years since. And then there's Steve, a man she could fall in love with, but is terrified to. I did feel such a sadness as to the time wasted and to what Cassie has lost because of a family rifts. It's been a little while since I have read one of Debbie Macomber's books, but I really enjoyed this one. I just loved this book. Debbie did such a great job with her characters & I really enjoyed the storyline. Last One Home was an enjoyable read. Some of it was fairly predictable, but the story was easy for me to relate to. 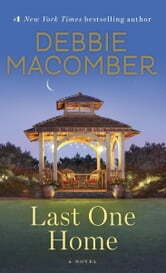 I enjoy Debbie Macomber's style of writing and look forward to reading the next book in this series. Her Inn at Rose Harbor series and the Big Stone Gap series were very enjoyable. I love series where you get to know the characters and feel like you've made new friends.